Selling services is one of the many struggles a Service Advisor faces. Explaining the importance of a service or repair is difficult enough, but trying to sell the value is even harder. 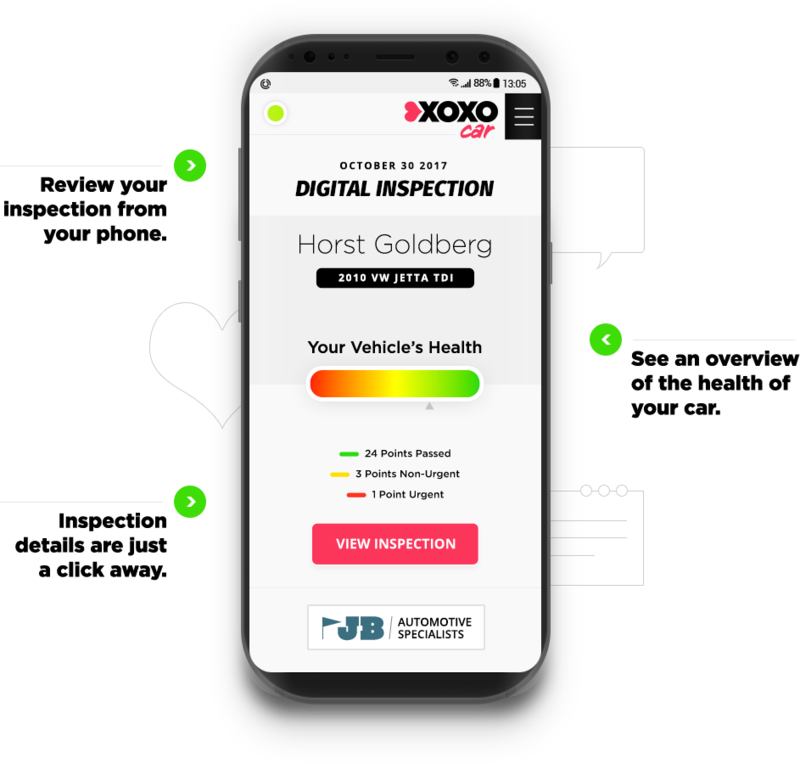 Don't just tell a customer about the issue; send them an inspection report generated with tech notes, recommendations, and images that are delivered by text message or email. Start ROs at the vehicle. Text or Email, your choice. Stop waiting for the phone to ring. Realtime information to and from your Shop Management System. Print Reminder Stickers from your Tablet. Decode VINs and License Plates. Get specific Vehicle Repair Information and Most Common Issues. Send messages from the front to the shop floor. It is important to know how long a job is billed for, and how long it takes for the technician to complete it. Keeping track of a shop’s labor margin increases efficiency. To help shops with this process, we have integrated the time clock feature into our auto repair software. Mobile Manager Pro fully integrates with Mitchell 1, ShopKey, ALLDATA, NAPA TRACS, R.O. Writer, and more. Now your shop management system creates color coded task lists directly on the tablet, eliminating the need for tech worksheets. The North American ARO currently sits at $322.00 per vehicle. ARO for BOLT ON TECHNOLOGY shops currently stands at $512.00 per vehicle. That’s a 59% increase! Imagine never making a mistake again with a VIN. Our technology has been designed to use the optical camera available in your device to photograph the VIN and deliver 100% accuracy to your management system, saving valuable time! VIN Scan - Scan the Vehicle Identification Number on the vehicle, perform a VIN decode, and update your management system. License Plate Decode - The technician can enter the license plate and the management system will be updated with the full vehicle information. Print Lube Stickers - Technicians can wirelessly print lube stickers from the shop without walking to the computer. Go paperless – Eliminates the need to hand-write documentation and saves on paper and printing costs. Increase precision – Customizable multi-point inspections allow shops to build an inspection for the most common jobs and then use the prebuilt inspections over and over. Engage customers – Direct communication with customers from a tablet, including texting or emailing vehicle photos, can speed up the approval process. Build customer confidence – Vehicle-specific photos show customers what repairs are needed and will empower them to make the best decisions. Stay connected – The Team Chat feature allows shop employees to connect to anyone in the shop instantly. Work remotely – Shops have remote access to the full management system for scheduling, text message reminders, customized reports and invoices, and the other features integral to your shop management system. Actual Labor Time – See exactly how much time techs are spending on jobs, increasing Labor Time Efficiency. These two devices offer the best experience at a reasonable price. If you decide to seek other types of tablets/phones using the minimum specifications, we cannot guarantee the app will perform sufficiently. Selecting non-recommended devices can cause poor performance and results. Shops are built mostly of cinder block and metal framing. This architecture can limit the range of your Wi-Fi connection and create weak signal strength in the middle of an open space. When outfitting your shop with Wi-Fi, the primary high performance wireless router should be centrally located in the building. Once the Wi-Fi is available, the signal strength should be tested at all areas in which Mobile Manager Pro will be utilized. If necessary, add wired wireless access points to strategic areas of your shop that will provide strong signal strength where needed. The SSID and Security Key for each access point should match that of your primary wireless device. This allows for the devices to transition seamlessly while moving around your shop. Your Local Area Network (LAN) must be on the same network. This is achieved by having only one device on your network serve DHCP and all devices that need to communicate with each other must receive their DHCP from that device and have permission to communicate with each other across the network.